Still lots of schools of tarpon on the flats... along with permit and bonefish.. 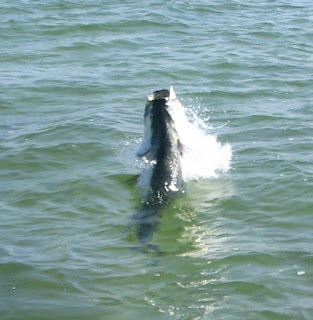 Jumped this one with a worm fly..
Tarpon fishing remains good!! The season is winding down... Considerably less anglers on the water... Some days we are getting LOTS of shots other days we are having to work to find fish.. 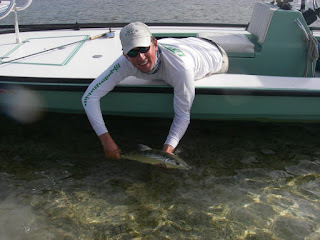 Permit are back from their off shore spawning activities..
Bonefish are on the flats now too.. I still have some days available this month... Here is your chance to get one before they leave the Keys..
June 24-27 and 30th are open. Lets go fishing!